This is a fantastic addition to Butcher's repertoire. Of his books, I've only read the Dresden ones, and then only a few, but I've loved every book by Butcher that I've ever read. This is no exception. It has adventure, fantasy, steampunk, science fiction and cats. How can that ever be a bad combination? I look forward to the next book in this series, and am now sorely tempted to pick up another Butcher book very, very soon. 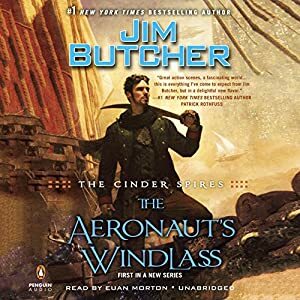 If you have a fascination for airships steampunk is the perfect genre for you - at least when you want to read something a little lighter. This book is a great place to start. It's really good.